Aspiria Corp. is the only company in Canada focused solely on providing Employee (EAP) and Student (SAP) Assistance Programs. Aspiria was founded in 2003 by Charles Benayon in response to market changes in the EAP industry. As the industry consolidated and providers of EAP services diversified into other markets, our founder recognized the opportunity to develop a unique and innovative EAP offering to the underserved small and medium-sized employer. In 2011, we utilized a similar strategy to expand our mental health service offering to another much-needed sector, the college and university student market. Today, our founder’s vision has been crystallized as Aspiria serves over 1 million employees, students, and their families in Canada and internationally. One hundred percent Canadian-owned, Aspiria provides a solution-based suite of mental health and wellness EAP/SAP services to all employer and educational sectors across the country when and where they need it most. We have years of expertise in the mental health field and are dedicated to mental health solutions. We understand that no two organizations are the same and that each of our clients has unique needs. We provide superior customer service that values both the user of the service and the plan sponsor. We value face-to-face counselling, and provide our professional services based on need, with no restrictions on the number of cases required to resolve issues. We are a truly client-centered service that provides 24-hour multilingual assistance and professional counselling in various formats of choice. We are accessible to our clients whenever and wherever they need it the most through our professional clinical network and virtual digital platforms. We audit all clinical files and provide transparency to ensure quality and continuity of care. In March 2004, Aspiria launched its first two EAPs with Delta Hotels & Resorts and Veterans Affairs Canada. In 2008, Aspiria made its first strategic acquisition in LINK EAP, reinforcing its commitment to servicing small companies. In 2011, Aspiria formalized a strategic alliance with Empire Life Insurance Company, providing a unique EAP offering to the small group benefit employer market. In 2011, Aspiria launched its first two customized Student Assistance Programs (SAP) with Durham College and the University of Ontario Institute of Technology (UOIT). In 2016, Aspiria made a strategic acquisition in southern Ontario acquiring PACE EAP, reinforcing our commitment to regional expansion in Ontario. Today, we continue to focus on service excellence, niche, solution-focused mental health solutions, and the prevention of illness. Aspiria recognizes the value and importance of promoting, fostering, and maintaining the well-being of its clients, employees, students, and their families. Our mission is to create expert health solutions that empower organizations and their people. This will be accomplished through our core values of responsiveness, care, passion, dedication, ethics and, integrity. Professional and nimble, with years of experience and depth in mental health, our clients recognize us for our integrity, transparency and accountability in all that we do. Aspiria fosters and maintains the well-being of employees, students and their families to create an environment of wellness and success. This is accomplished through our ‘three pillars’ approach to decision-making that underpins the design and success of our services. With Aspiria, help is only a phone call away. Accessibility: Help is available when and where our clients need it the most. The first step is to make the call and let us know what you would like assistance with. We will help you determine how best to use the services you are requesting. Choice: As an employee or student, participation in our program is completely voluntary. Although an employer or school can recommend that you use the assistance program, only you decide if you wish to participate. No one will know that you have used Aspiria’s services without your written permission. Your counselling appointments are held in our off-site offices, away from your workplace or school. Aspiria counsellors are professionals, adhering to the ethics and standards of their respective disciplines, all while respecting the professional-client relationship. At Aspiria, we will provide a safe place where a caring professional will take the time to listen and help find the right solution for your mental health concerns. Charles Benayon founded Aspiria Corp. in 2003 with a vision to make a meaningful difference in the lives of people and organizations challenged with mental health issues. Today, Aspiria is a leader in the mental health industry, providing quality Employee and Student Assistance Programs to over 1,000,000 employees, students, and families in over 500 organizations across Canada. A Master’s level social worker by profession, Charles is active in his community as a contributing member of several charities close to his heart, including Tourette Canada, Gilda’s Club, Cystic Fibrosis Canada, and, Hospital for Sick Children. 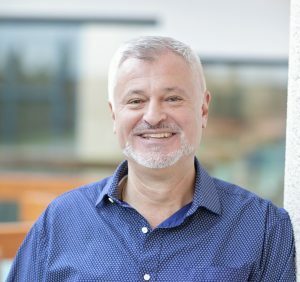 As one of Canada’s most experienced leaders in the EAP and SAP industries, Charles leads a team at Aspiria to create expert mental health solutions that empower organizations and their people through quality service excellence, exceptional customer service, and, integrity. Eric joined Aspiria in 2010. 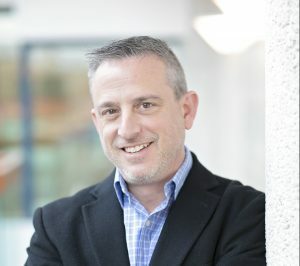 As VP of Clinical Experience, Eric oversees Aspiria’s national clinical network and operations, ensuring the quality and standardization of our service delivery across the country. In addition, Eric manages the suite of programs under Aspiria’s Specialized Organizational Services, including mental health, disability management, and addictions. Much of Eric’s formal clinical training in addictions came from his 5 years of work at the Centre for Addiction and Mental Health (CAMH). Here, he engaged in published, clinical research, assessment, and treatment of individuals suffering from different types and levels of addiction and mental health problems. 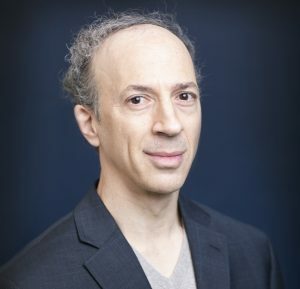 Eric holds a Master’s degree in Clinical Counselling Psychology from the University of Toronto, a Master’s degree in Environmental/Organizational Psychology from York University and an Honours B.A. degree in Psychology from York University. Eric’s community involvement includes being an active member of Cystic Fibrosis Canada – Toronto Chapter where he sat on the Board of Directors for 5 years and currently leads various fundraising activities. Rob joined Aspiria in 2009 as a Senior Account Manager. As VP of Business Development, Rob is responsible for generating and maintaining positive relationships with the broker/advisor community, responding to requests for proposals, and creating new partnerships that will bring increased value to Aspiria and its clients. An accomplished presenter, Rob often facilitates sessions on a variety of topics in the health and wellness industry, either for clients or at professional conferences across North America. Rob holds a Master’s degree in Curriculum and Teaching from Michigan State University, a Professional Golf Management Business Diploma from Humber College and an Honours Bachelors degree of Arts in History and Humanities from York University. He has continued his education focusing on Critical Incident Stress Debriefings, Stress Management, and Mental Health and Wellness in the Workplace. Kathie oversees Aspiria’s account management team nationwide to ensure our organizational clients’ needs are being met. Kathie brings a wealth of knowledge and experience to client support in a clinical environment, including individual assessment, counselling, case management, group facilitation, teaching, research, program development and staff training. Kathie’s previous EAP experience was with Pace Consulting Group in South Central Ontario. 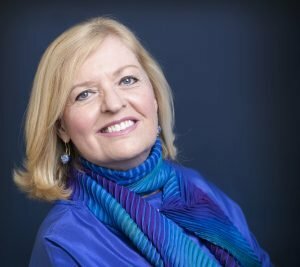 She brings over 20 years’ experience in the development and management of programs, and addressing the unique service needs for organizations, such as community colleges, social housing and governments. Kathie holds a Masters and Bachelor Degree in Social Work. Christophe has been employed at Aspiria since it opened its doors in 2003, working first as a support to the founder of the company in the capacity of Clinical Coordinator and now, as an Account Manager for Central Canada. Reporting to the Director of Client Experience, he is responsible for managing a portfolio of accounts, and acting as primary liaison between the client organization and Aspiria. His goal is to provide high quality service, ensure client needs are met, and achieve and maintain a high level of satisfaction. 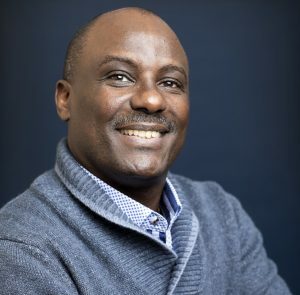 Christophe has a Bachelor Degree in Public Law from the University of Burundi, and is currently continuing his education in Business Management at Sheridan College. Roma has been part of the Aspiria team since 2015. Her introduction to the company was as an affiliate counsellor, a role she continues to this day. In early 2016, she assumed the position of Account Manager for Western Canada, expanding her knowledge of the company, as well as her people and business skills. Roma holds a Master of Arts (MA) in Counselling Psychology from the University of British Columbia, and is a Registered Clinical Counsellor. Reporting to the Director of Client Experience, Roma is committed to bringing quality-driven and accountable delivery of EAP and SAP services to our clientele in Western Canada to achieve and maintain high levels of satisfaction and retention. 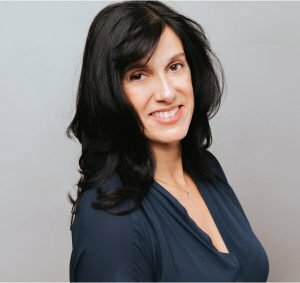 Carole joined the Aspiria team in 2018 as Manager of Client Experience. She earned her Bachelor of Arts in Applied Social Sciences from Concordia University and a Certificate in Human Resources Management from McGill. She has more than 15 years of experience working in customer service and sales in a wide range of industries. Fully bilingual, Carole applies her expertise in building and maintaining strong relationships with her clients in Quebec, and Eastern Provinces, managing strategic accounts and ensuring high client satisfaction and retention. 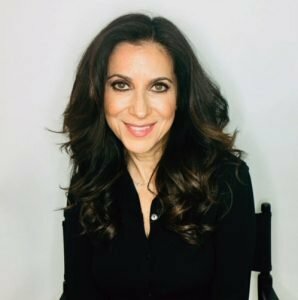 Her client focus is her passion and dedication to promote and support mental health solutions for employees, students, and their families. Aspiria has been a strategic partner with Empire Life since 2011, a company that specializes in designing group benefits plans for small and mid-size companies. Through our AssistNow™ Empire Life customers receive our unique Employee Assistance and Wellness Program (EAP), exclusive to Empire Life Group Benefits customers. With its straightforward, quality and innovative approach, AssistNow™ helps employees and families navigate life’s challenges and complex life choices by providing mental health expertise, coaching, and crisis management – with ease of access. You can learn more about Empire Life by visiting their website. Aspiria works with Workplace Medical to provide a mental health service to their clients. Workplace Medical is dedicated to keeping Canada working. Offering a wide variety of prevention, response and return to work services to help reduce avoidable absences such as advice and support as your “Company Doctor”, medical surveillance programs, first aid training, mobile hearing testing, disability and absence management support and more, Workplace Medical Corp. is your trusted resource for medical support and services. You can learn more about Workplace Medical by visiting their website. Aspiria partners with CBI Health Group to provide mental health support to clients. CBI is Canada’s largest community healthcare provider. From the outset, CBI Health Group has challenged the status quo and believed that there was a more effective way of solving and managing the complex problems we face in patient health. They are focused on a united purpose: to improve the health and enrich the lives of Canadians. You can learn more about CBI Health Group by visiting their website. In partnering with Gilda’s Club, we have created a robust workplace cancer support service called OnCallogic. This innovative new program provides organizations with mental health support for those affected by cancer through a series of specialized counselling sessions. Gilda’s Club is a non-profit cancer support organization. They provide emotional and social support through innovative networking and support groups, educational workshops and social activities. You can learn more about Gilda’s Club by visiting their website. Aspiria works with STI Technologies Limited (STI) to provide a mental health component to their membership. 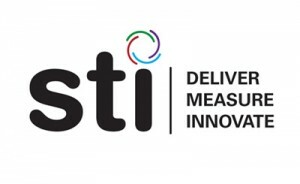 Founded in 2001, STI is a health-care technology company that provides Canadian patients with greater choice and broader access to the best medications and health-care products. Through partnerships with Canada’s top pharmaceutical companies, STI supports the health-care system by delivering intelligent reimbursement, patient management and patient engagement solutions that improve health outcomes. By making their user-friendly solutions available online, and through physicians and pharmacists across Canada, they are the leader in their industry, and have millions of patients who benefit from their programs. You can learn more about STI Technologies by visiting their website. Aspiria partners with Heidary Health to offer clients the Workplace Wellness Tracker – a comprehensive health and wellness survey that goes well beyond traditional employee engagement surveys to give you a true measure of the KPIs for your employees. The Workplace Wellness Tracker empowers individuals and organizations to take control of their health by making preventative healthcare more accessible. You can learn more about Heidary Health by visiting their website. In partnership with MaxPeople, Aspiria offers HREssentials. Delivered by a team of highly experienced HR professionals, this managed Human Resources service helps organizations handle their “people-related issues” by offering them coaching, real-time support, and tools and templates for implementing a sound HR infrastructure. Core areas of expertise include leadership development and servicing your organization for a variety of HR needs. Aspiria is committed to helping business owners and leaders transform their staff to be more focused, happier, and productive at work and in life. You can learn more about MaxPeople by visiting their website. 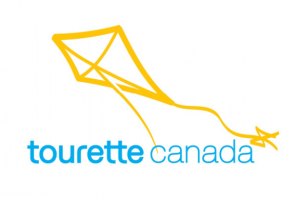 Now in its 24th year, Aspiria has co-hosted the Annual Tourette Syndrome Golf Tournament alongside Tourette Canada for the past 12 years in support of this challenging neurological disorder. Funds raised through this tournament are used to send children living with Tourette Syndrome to summer camp. With our continued support, Aspiria hopes to help break down the stigma that surrounds Tourette Syndrome through education, advocacy, and research. In support of finding a cure for cystic fibrosis, a genetic disease that affects one of every 3,600 Canadian children, Aspiria continuously makes monetary donations to this committed charitable organization. We are proud to contribute to this agency that has led to Canadians with cystic fibrosis having one of the highest survival rates in the world. Gilda’s Club is a not-for-profit organization with a mission to ensure people living with cancer are empowered by knowledge, strengthened by action, and sustained by community. In partnering with Gilda’s Club, we have created a robust workplace cancer support service called OnCallogic. This innovative new program provides organizations with mental health support for those affected by cancer through a series of specialized counselling sessions. Through OnCallogic, Aspiria hopes to allow people suffering from cancer to benefit from expert counselling and resource services, ensuring no one faces cancer alone. To help the Hospital for Sick Children fund Project Horizon, a redevelopment plan with the goal of building an inspired, re-imagined hospital by early 2022, Aspiria has made a monetary donation to the SickKids VS Limits fundraising campaign. Having grown from six beds in 1875 to over 400 today, we look forward to contributing to SickKids’ amazing work for years to come. Watch this video to learn why Aspiria is a leader in Employee & Student Assistance.